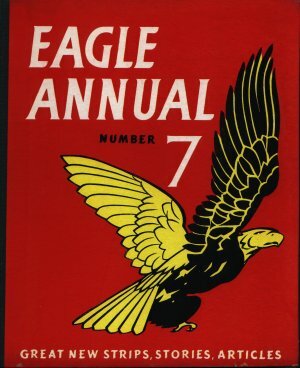 Eagle Annual Number 7 continues the successful formula for another year with more engineering, more puzzles - including the one that supposedly inspired the phrase "think out of the box". Dan Dare is in his usual place at page 25. The price remains constant for yet another year - how did they do that?